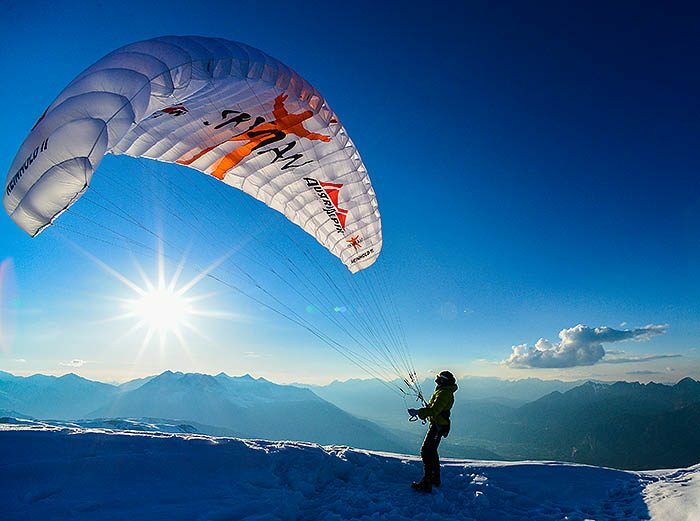 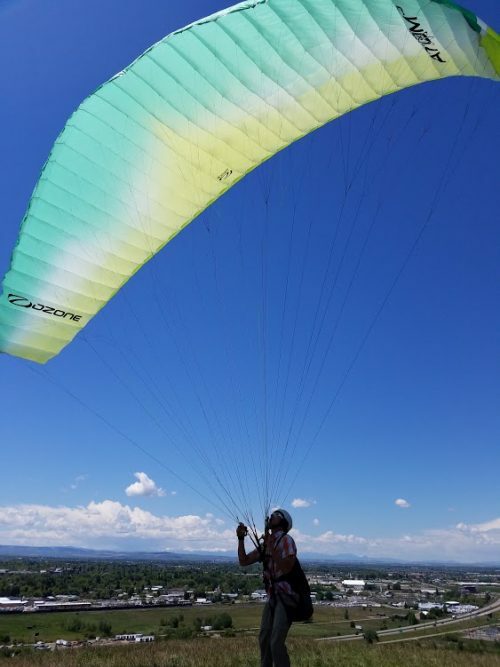 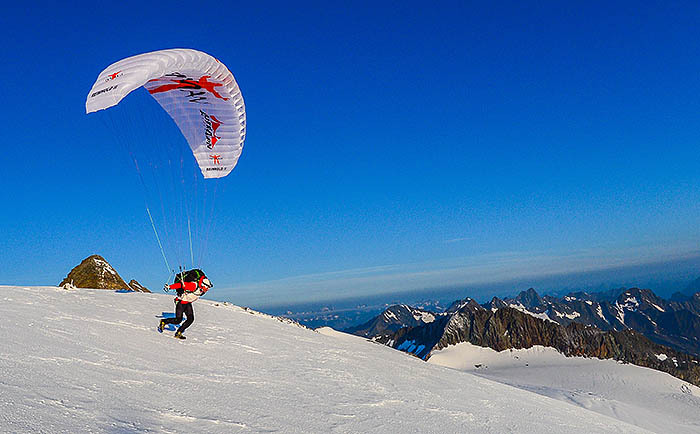 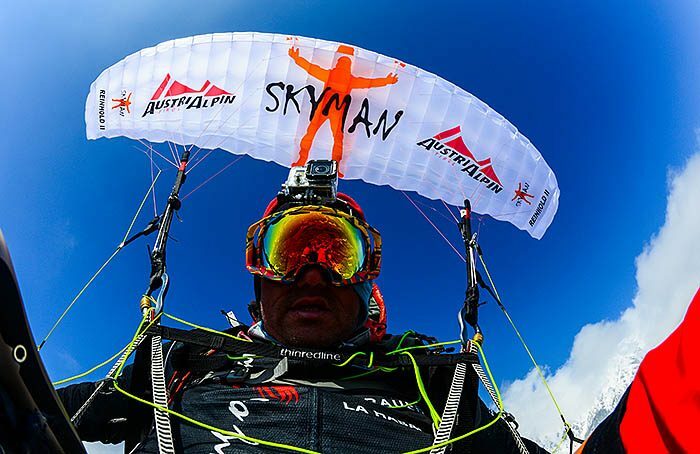 Being neither speed glider nor normal paraglider, Reinhold II is something very special amongst the SKYMAN paragliders. 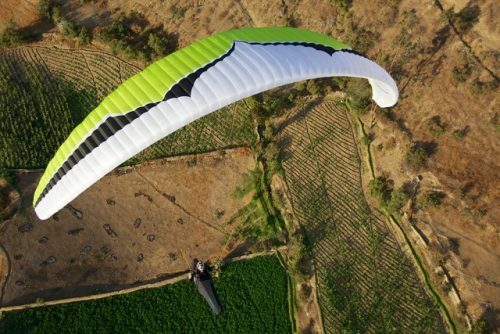 Its canopy with 15,7m2 surface area is a bit larger than a speed glider canopy and has been constructed on the basis of parachute canopies. 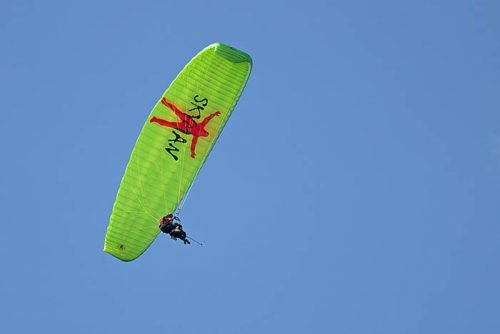 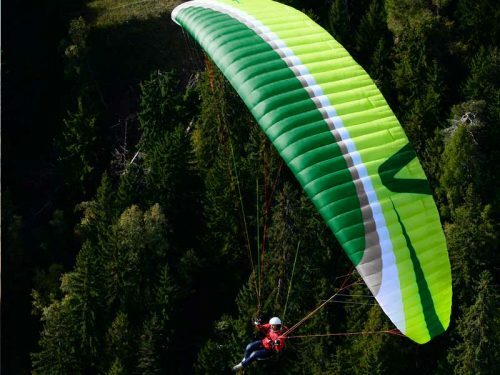 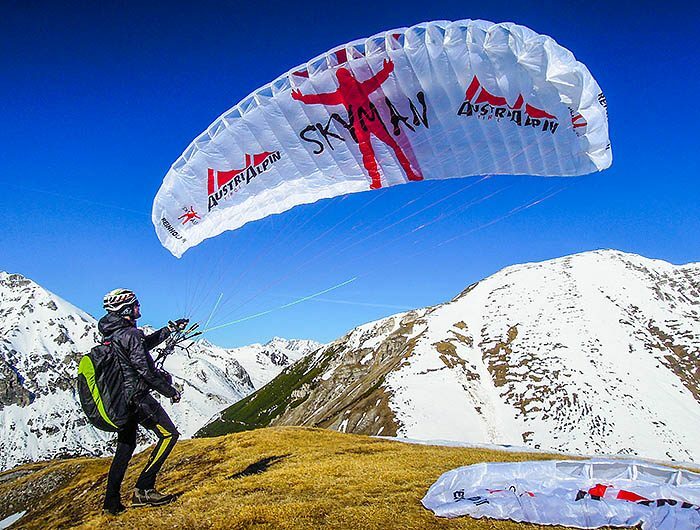 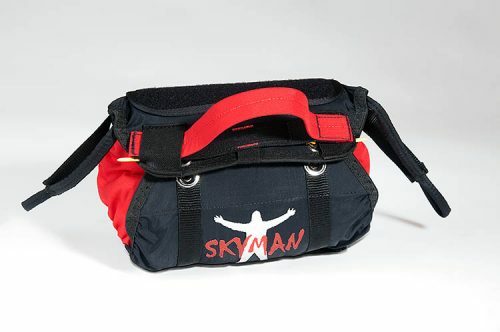 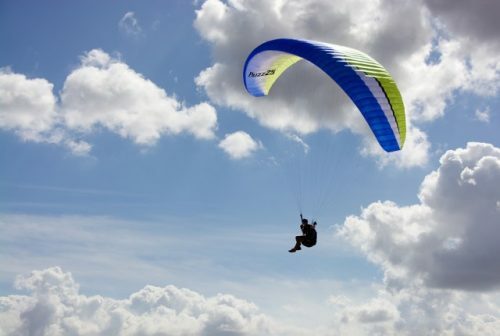 SKYMAN thus developed a fast glider with outstanding handling – an ideal companion for alpine adventures. 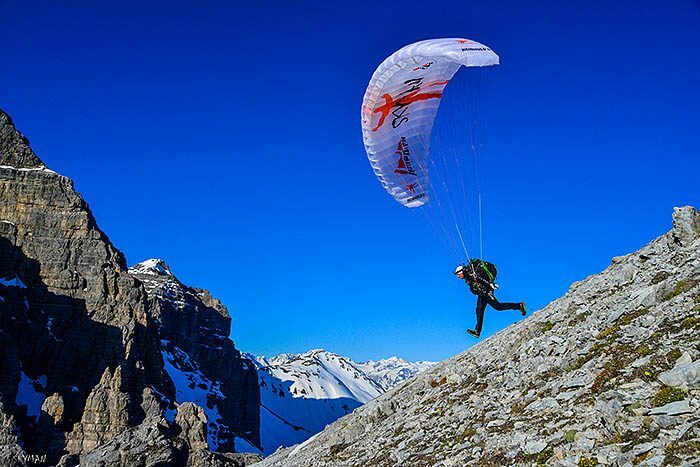 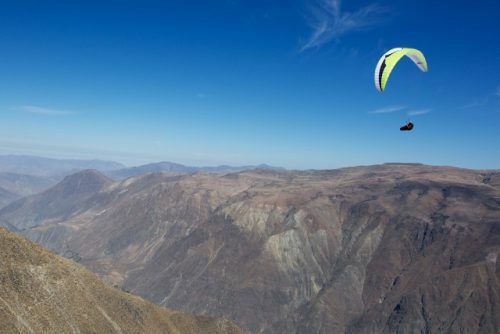 Needless to say: Reinhold II is one of SkyMan Markus Grundhammer’s favorite paragliders. 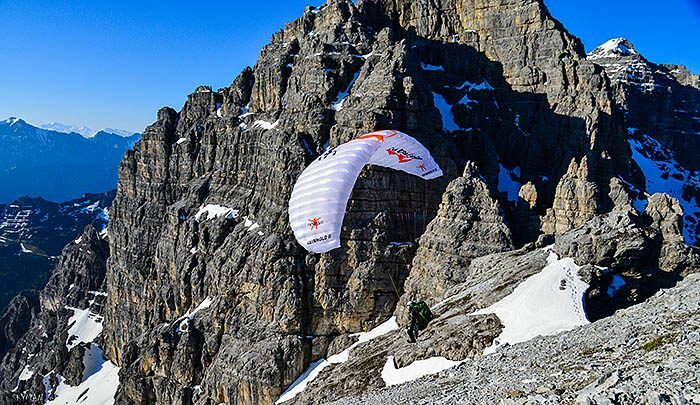 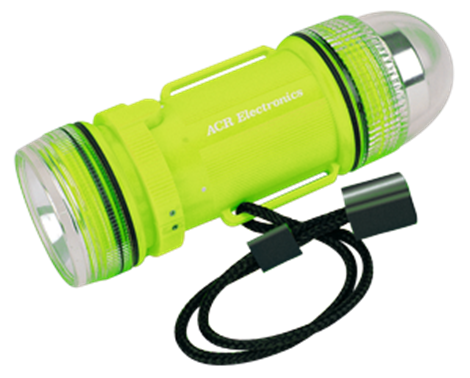 Starting from alpine peaks and at wind speed of up to 60km/h he always relies on Reinhold II.